Have you ever attended a high end car show? 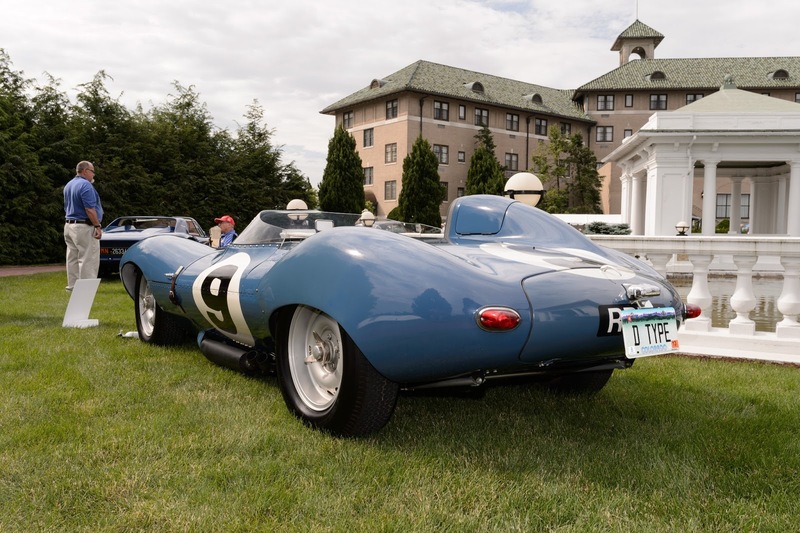 The Elegance at Hershey is modeled after European Concours d'Elegance but with more of a casual American feel. The show describes itself as "an automotive garden party featuring the world’s finest collector vintage and antique cars." The Elegance is held on the grounds of the Hotel Hershey where the smell of dark chocolate cocoa mulch adds to the experience. 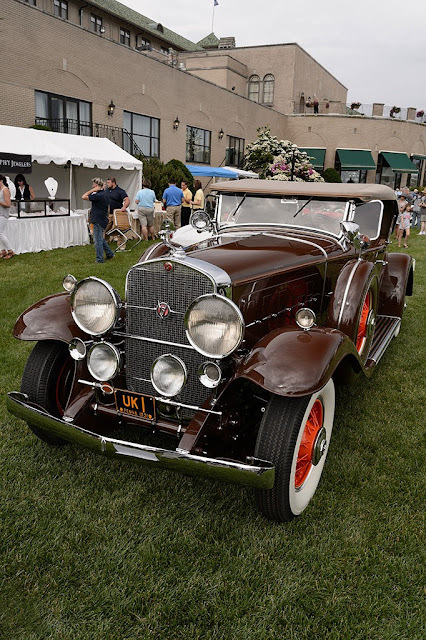 The event's goal is to raise funds for the Juvenile Diabetes Research Foundation and the AACA Museum. 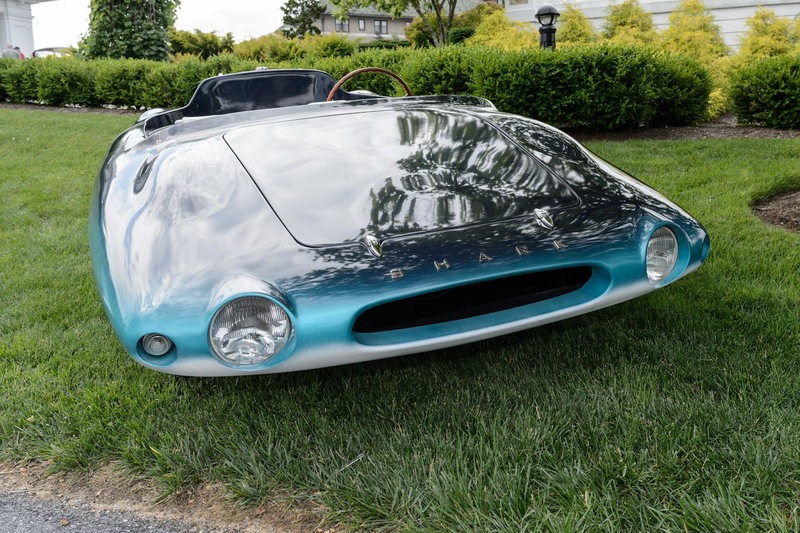 The reason you should attend these types of shows is for the opportunity to see rare vehicles that you normally only get to see in books. 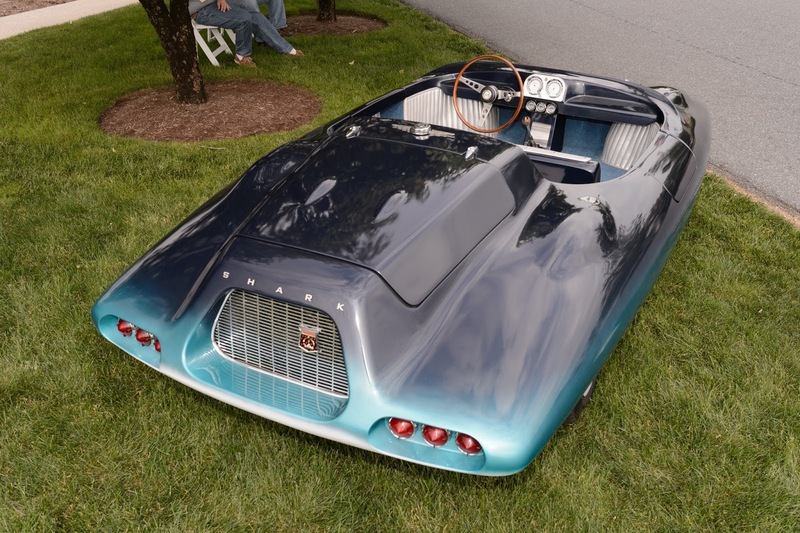 Take for instance Geoffrey Hacker's 1962 El Tiburon Shark Roadster. Only six of these streamlined cars were ever built. The Hershey show had plenty more rare cars to get the motor oil pumping through your veins. 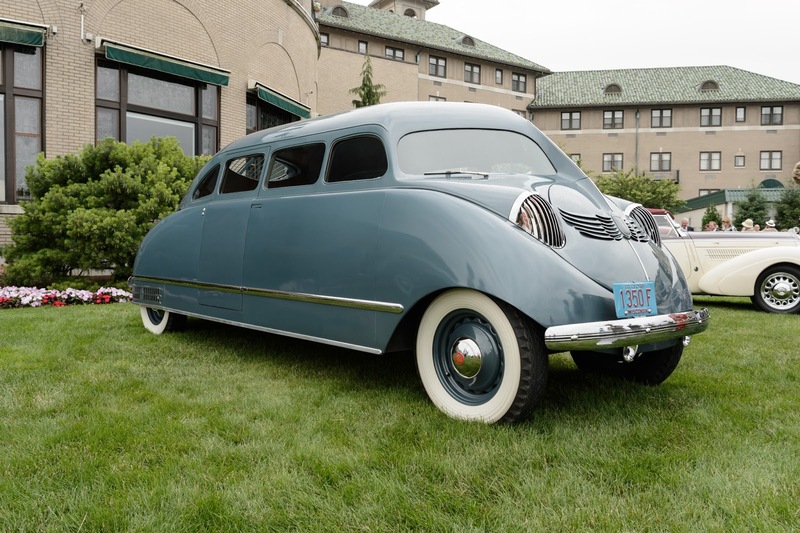 One reason why the crew of Bubba's Garage made the trek north was to get a glimpse of a 1936 Stout Scarab which was built by the Stout Motor Car Company in Detroit, Michigan. Only nine are thought to have ever been built. How about a rare Chrysler? 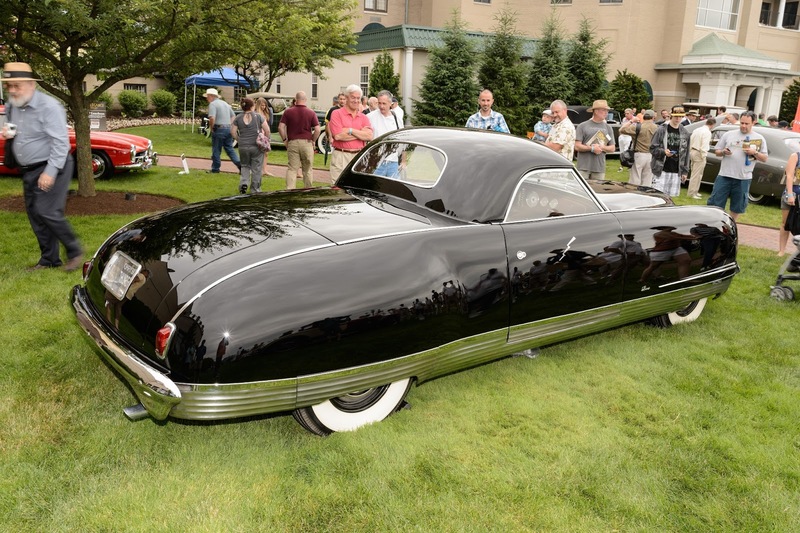 Only five 1941 Chrysler Thunderbolt Retractables were built. 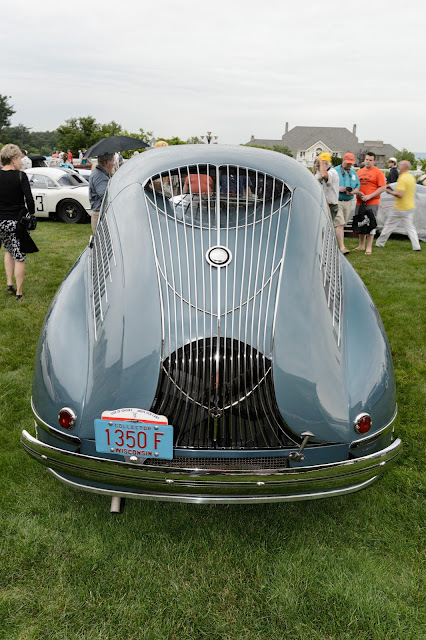 This one is owned by Richard H. Driehaus. I was thrilled at the number of domestic vehicles on the grounds of the Hotel Hershey but there were plenty of European models as well. 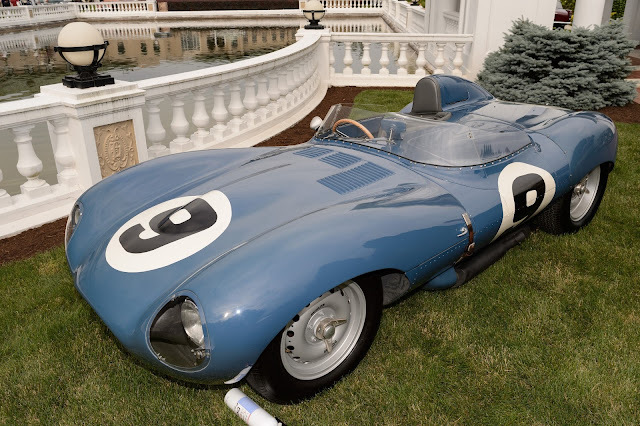 James W. Taylor's 1955 Jaguar D-Type Open Cockpit Racer looked stunning set against the reflecting pool of the hotel. 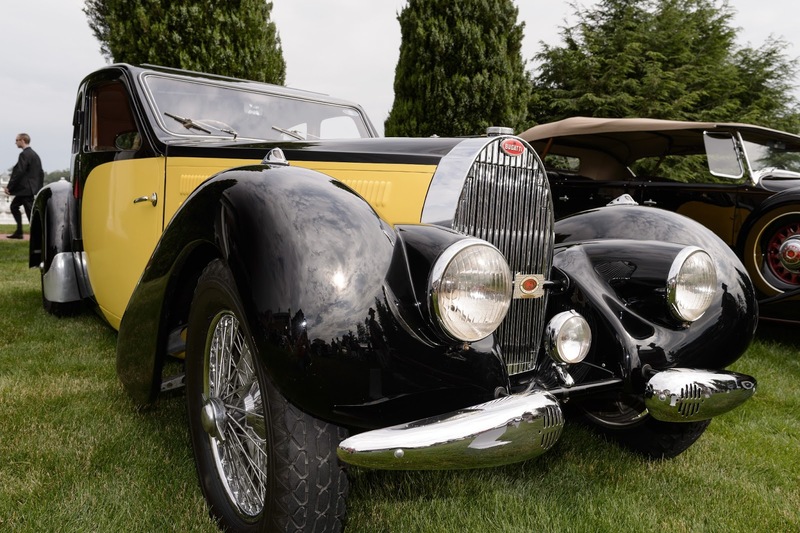 No Concours d'Elegance type show would be complete without a Bugati. What do you think of Walter Baran's 1938 Bugatti T-57 Ventoux Coupe? 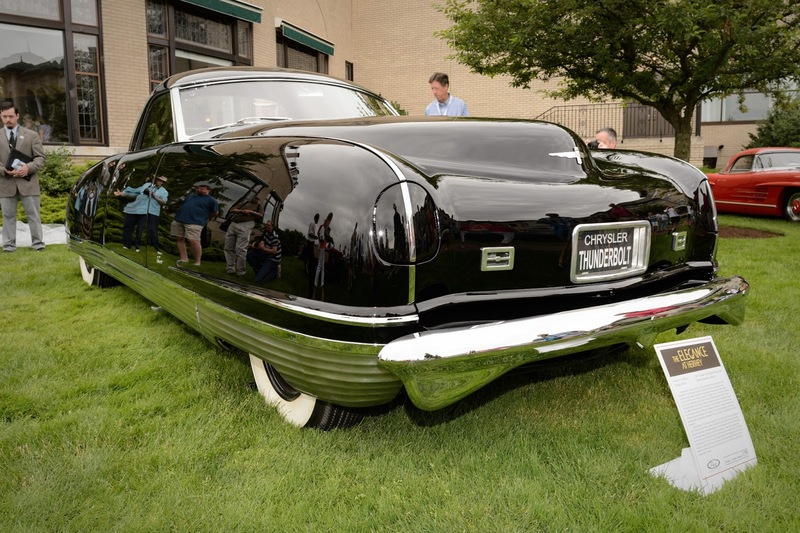 Head on over to our photo site to see many more photos from The Elegance at Hershey. BG Custom's Photography.